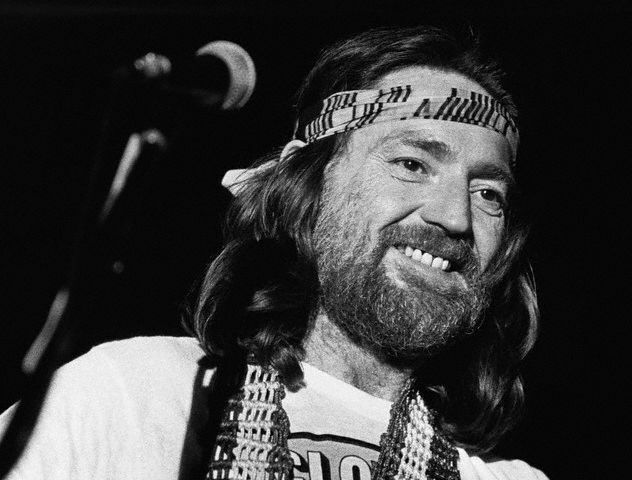 In a career that has encompassed performing, songwriting, acting and activism, there are so many highlights to consider when looking back at Willie Nelson’s life. Here are 25 of our favorite things you might not know about the American icon. 1. Willie Hugh Nelson was born April 29, 1933, in Abbott, Texas. Also born in Texas that same month were future TV stars Carol Burnett and Carolyn Jones (The Addams Family). 2. Because he was born close to midnight, some sources list Nelson’s birth date as April 30. 3. Nelson’s sister Bobbie, who plays piano in his band, is two years older than him. 4. Nelson was raised by his grandparents, Alfred and Nancy Nelson, who both studied music courses through the mail from the Chicago Music Institute. 6. For his first-ever public performance, at 5 years old, Nelson recited a poem. 8. Nelson wrote his first song at 7 years old. 9. At just 13 years old, Nelson performed with Bob Wills, the inventor of Western swing music. 10. In 1950, Nelson played the role of Uncle Billy Babcock in his senior class’ production of Oh, Aunt Jerusha. 11. In addition to a stint in the Air Force, Nelson has worked as a cotton picker, saddle maker, disc jockey and Bible, vacuum cleaner and encyclopedia salesman. 12. Nelson was signed to Pamper Music as a songwriter. His $50-a-week salary was paid from a raise that fellow songwriter Hank Cochran was due to get but had sacrificed so that Nelson could be signed. 13. Nelson’s first album was titled And Then I Wrote. It includes “Crazy,” “Hello Walls” and “Funny How Time Slips Away,” songs that would initially become huge hits for Patsy Cline, Faron Young and Billy Walker, respectively. 14. One night, Nelson and Cochran wrote seven songs together in the basement of Nelson’s home in Ridgetop, Tenn.; among the songs was one called “What Can You Do to Me Now?” The next day, Nelson’s house burned down. 15. After his house burned down, Nelson moved to Austin, Texas, and later to Hawaii. 16. Nelson’s first Fourth of July Picnic was held in Dripping Springs, Texas, in 1973. 17. Nelson’s 1978 album of pop standards, Stardust, remained on the country album chart for 540 weeks — that’s 10 consecutive years. 18. In 1979, Nelson made his big-screen acting debut in The Electric Horseman, starring Robert Redford and Jane Fonda. 19. The following year, Nelson starred in Honeysuckle Rose. 20. Nelson wrote one of his most famous songs, “On the Road Again,” while on an airplane with director Sydney Pollack. 22. Nelson’s trusty acoustic guitar, named Trigger after cowboy star Roy Rogers’ horse, is a 1969 Martin N-20. 23. While Trigger carries the signatures of many fellow artists, the first person to sign it was Leon Russell. 24. Nelson worked to settled his 1990s IRS tax debt by releasing a double-album called The IRS Tapes: Who’ll Buy My Memories?. 25. Among his many honors, Nelson was inducted into the Country Music Hall of Fame in 1993 and, for his support of family farms, the National Agricultural Hall of Fame in 2011. This entry was posted on Sunday, June 10th, 2018 at 12:01 pm and is filed under This Day in Willie Nelson History. You can follow any responses to this entry through the RSS 2.0 feed. You can leave a response, or trackback from your own site.